BikeParts.com team rider Dan Dwyer in action! While the temps are soaring and the days are still long, soon – summer will come to an end. Now is the time to get rolling. All of the rides, races, and cycling adventures you hoped to complete this summer need to have a check mark next to them. Who wants to look back on the season with regret? No one! So get out your planner and make August your best month yet. The best way to make the most of your bucket list rides is be prepared: mentally, physically, and have fully inspected your bike parts. You want to make the most of your rides, don’t you? Of course! No one wants a mechanical during training or racing. Obviously, functioning brakes are essential on the long, fast descents. Proper gearing can make or break your chance of making a climb. And, having the right bike tools, cycling accessories, and extra bike parts on hand make a difference between a stellar ride and a bail out. Better yet, why not get a new bike for your bucket list rides? Yep, that’s right – a new bike! Get 20% off all bikes $1000 and up and 10% off all bikes under $1000. Stop by the Peak Cycling Bike Shop for help or visit us at bikeparts.com for all your cycling needs. The legendary Leadville 100 mountain bike race starts and finishes in the heart of Leadville at 10,200’. With more than 90 percent dirt or double track dirt roads, steep climbs, serious descents and a seven-mile climb to the 50-mile turnaround at 12,600’, there is approximately 14,000’ elevation gain. That makes for a long and grueling day on the bike! Yet, there are tricks and strategies to make the Leadville 100 one of your best 100 mile mountain bike races. The post, Top 10 Tips For Your Best 100 Mile Mountain Bike Race, suggest one very important strategy. That is, do your homework. By this, we mean, read the entire race website to learn the logistics. Get the start location, day and time right. Learn the course profile. You may consider taping key mile targets or heart rate goals to your top tube to keep your mind focused as the miles go by. Also, determine how many aid stations and what services such as drop bags are at your disposal. Line up the details of where and when you will leave your drop bag and be reunited with it. Basically, the support your provide for yourself in advance of the race by doing your homework enables you during the race to have your focus 100% in the game and not distracted with worrying about other elements. Fuel right. By fueling right, we mean, balance your nutritional needs leading up to the race as well as the day of the race. But bike nutrition requires focused effort. Guidelines for fueling a 100 mile mountain bike race are: every hour take in 60-90 grams carbohydrates, 18-24 oz. fluid, 400-700 mg sodium and 100-300 mg potassium. Frequently consume, in small amounts, any combination of water, sports drinks, gels, fruit, energy bars and electrolyte capsules to achieve these targets. If you don’t think you can stay on track with your program, consider setting an audible alarm on your watch for nutrition and drinking reminders. Game On! Leading up to and during your race, it’s critical to maintain a positive and upbeat mindset that is in alignment with your goals. Your thoughts, emotions, and race behaviors are components of your mental state, so take inventory of your mental state and align them with your goals. If you find yourself slipping into the pain cave with negative self talk, have a mantra ready to repeat and get yourself back in the game. In times of suffering, it’s easy to compare your racing and fitness to others. Here is where having your race plan and goals specific to this event comes in handy. Know your plan and race your plan. When it’s all said and done, congratulate yourself on your race experience. Most athletes love the Leadville 100 MTB race and do it every year. So what’s next? Use this experience to launch towards a better result in upcoming events. Evaluate your results based on your goals. What worked? What didn’t? What can you do next race to get a better result? Be objective and explore how your mental and physical training helped prepare you for this event. Remember to evaluate your bike and cycling accessory selections. Did you race the right bike? Did you suffer from mechanicals? Now is the time to dial in, replace, and buy the bike parts that you need going into your next event or next Leadville 100 mountain bike race. The strategies and training you used this time around only build for a better result next time. Racing at Altitude. What You Need to Know. 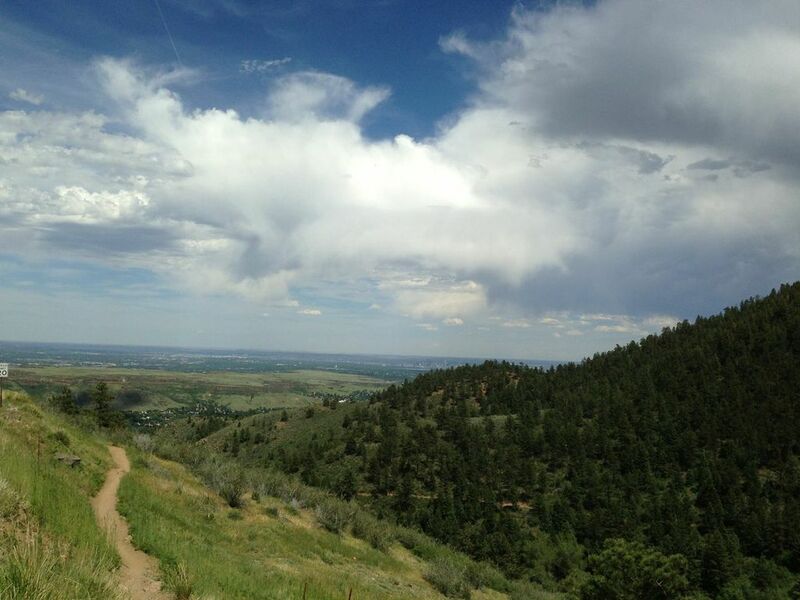 The beautiful scenery and challenging terrain of Colorado’s cycling scene beckons riders from all over the world to ride along the backdrop of blue skies and snow capped mountains. However, one of the toughest challenges a cyclist can face is completing all of their training at their low-elevation residences, and then traveling to ride or compete in a race at high altitude. For events like the Leadville 100, The Breck Epic, and The Triple Bypass, many are left questioning what to expect when riding at elevation and what are the best ways to acclimate faster to ensure optimum performance. For starters, it’s best to understand how the body responds to altitude. The post, Understanding the Challenges of High-Altitude Racing at the Leadville 100 and USA Pro Cycling Challenge, gives us a detailed understanding. “The basics of altitude work like this: as you go higher the air becomes less dense, which means the oxygen molecules are more spread out. As a result, when you breathe in and fill your lungs, there are fewer oxygen molecules in that volume of air.” More so, as you increase in elevation, heart rate and breathing rates at rest will be increasing elevated as your body tries to pull more air through the lungs so it can grab the oxygen it wants. While at rest at altitude, you might experience a combination of headache, poor sleep, fatigue, and dizziness. While training, racing, or participating in an event at altitude, most likely you’ll discover an elevated heart rate and reduced power. And, your recovery rate between hard efforts will be longer and maybe not even complete. So, what can you do if you want to perform your best at altitude? Obviously, a no brainer is to have your bike and the correct bike parts in order! If you are accustomed to riding on flat terrain, you’ll want to have the appropriate gearing for your event. Specific to altitude acclimations, there is definitely science and research behind acclimating for cycling performance but without getting too technical, following are some of most common approaches. Acclimate – Spending time at higher elevations enables the body to adapt and increase the number of oxygen-carrying red blood cells. This improves your ability to deliver oxygen to the brain and working muscles at all levels of activity, including high-intensity exercise. The longer you can acclimatize – the better. Keep in mind, true acclimation can take three weeks or more. Hydrate Drink plenty of liquids. High elevations can cause fluid loss, so it’s important to stay well hydrated. Your best course of action is to stick with water or liquids that replace electrolytes and avoid sugary or caffeinated beverages. These liquids act as diuretics and can dehydrate you. Tools – Use your training tools for biofeedback. It’s important to know your limits going into an event and modify your strategy if necessary. This includes dialing in your race day nutrition requirements, heart rate limits, and using your power meter for feedback. Power meters are especially useful because they help riders to gauge their efforts. To maximize your opportunity for best performance, consider running course intelligence and learn the course and the conditions due to time of day. You’ll be better equipped to know when to attack and when to recover as it relates to time of day (heat), and course profile. Overall, different people respond differently to attitude. Experiment with what works for you. And, while you might not get the same results racing at altitude as you do at sea level, the rewards of riding in beautiful Colorado is a reward in and of itself.